We're back with some killer sound. Okay, not literally. But we're back and better than ever. 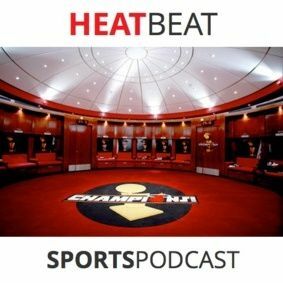 Brian and Gianni bring you their in-depth take on The Miami Heat's opening week of the NBA Regular Season as we discuss the Heat's opening (1-2) record. Don't panic, and stay off all bridges cocky Heat fans. We'll tell you why everything we'll be alright in no time. We'll also tell you why Carlos Arroyo will school you in a pick-up basketball game, and ... See More we'll also give you our NBA predictions and NBA D-League Draft updates.